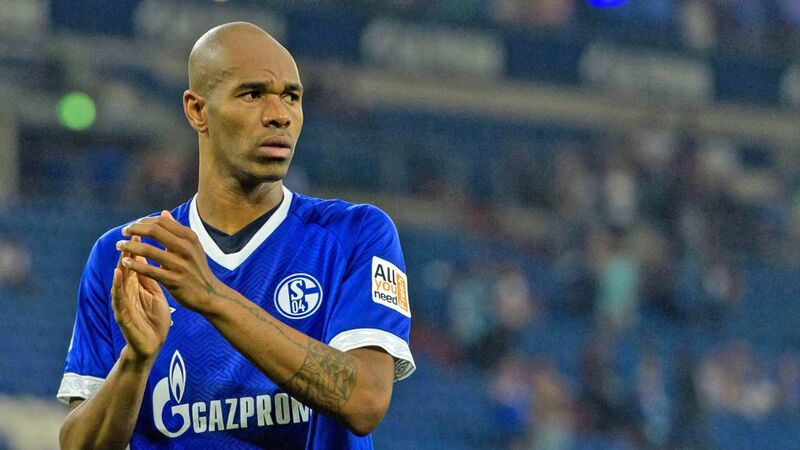 Naldo has told bundesliga.com Schalke must “stay united” after the unwanted 100 per cent start that has left last season’s runners-up with a surprise start to the campaign. Defeat in Wolfsburg on Matchday 1 was followed by a 2-0 loss at home to Hertha Berlin leaving Domenico Tedesco’s men as one of four sides yet to pick up a point this season. It is not the opening anyone in Gelsenkirchen hoped for nor anyone who watched them play so impressively last season had expected. A central figure in their 2017/18 success, Naldo says only making a united front in the face of adversity will get them back on track. Watch: Schalke slipped to a 2-0 home defeat against Hertha! The fixture list has not been kind to Tedesco’s side with a trip to Borussia Mönchengladbach on Matchday 3 before Bayern Munich are the visitors to the Veltins Arena on Matchday 4. “Every opponent is difficult as Hertha showed, but I’m not afraid, because we’re professionals. There are always surprises in the Bundesliga. Against Berlin we didn’t have a good day, but we have to take the positives from it. We also need the self-confidence to go onto the pitch at Gladbach in upbeat mood and play to our strengths. Gladbach are strong going forward. We have to play intelligently and get something from the game,” said Naldo, who would have preferred the international break not to break up the squad. “The break isn’t good for us because a lot of players are now away with their national teams and we won’t have much time next week before we travel to Gladbach. The disappointments that have tarnished the Royal Blues’ crown might have been halved had Daniel Caligiuri scored from the penalty spot against Hertha just two minutes before Ondrej Duda put the visitors ahead. Watch: All you need to know about the Royal Blues! Naldo himself and Mark Uth both had chances — the latter seeing his shot brilliantly saved by Rune Jarstein in added time — before Duda put the result beyond doubt in stunning fashion with seconds left from a free-kick won after a counter-attack caught Schalke pushing forward gung-ho. “We were trying to turn the game around, but we wanted to do it by forcing it. We made too many little mistakes that normally we don’t do. In the last 15 minutes, you saw the Schalke of last season. We were going forward and showed the attitude you need. Unfortunately, we didn’t score. The second goal came on the counter-atttack as we were throwing ourselves forward to try and score a goal ourselves,” said Naldo.